Talk of the Town—or Planet, That Is! Within the San Diego Zoo Global Academy’s collaborative learning environment, there are great conversations taking place. Many discussions in this community focus on how to positively impact our industry by providing for the training needs and the related planning and implementation within our institutions. With effective training, there is the opportunity to lower risk, raise the bar, increase performance, and enhance the guest experience. The San Diego Zoo Global Academy team is excited about the change taking place and the energy we see from those we talk with on a regular basis. The AZA Mid-Year Conference in Memphis was a great opportunity to meet with participants in person, in addition to the many online conversations taking place on a regular basis. We wanted to capture some of this excitement by sharing the thoughts of some of the Academy’s participants on a new section of the Academy website. Visit this new section and see what these partners and participants are saying. The Academy is actively implementing innovations to increase communication, because great information is fundamental to great training, and that’s an important part of the future of our industry. Would you like to hear more about San Diego Zoo Global Academy in general? Please contact Linda Duca at (516) 815-2886, or lduca@cypherworx.com. This month, we are pleased to spotlight our new Academy partner, the American Alliance of Museums (AAM). We both are excited about this partnership and educational opportunity. The need for online training extends far and wide, and we anticipate great benefits from our collaboration. 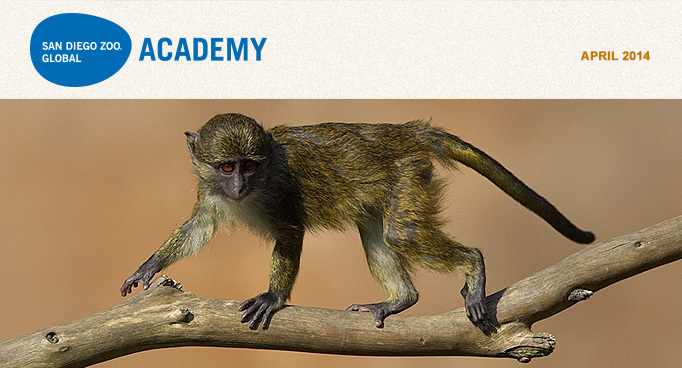 The San Diego Zoo Global Academy is a contributing partner to AAM's Online Professional Development Center. Click here to visit their informational site. 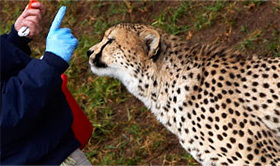 The Fresno Chaffee Zoo has upgraded to two privately branded customized sites, one for their employees and one for their volunteers. Nicely done! Academy partner ABMA will be holding their national conference this month in Dallas, Texas. Gary Priest, Curator of Animal Care Training at San Diego Zoo Global, will be there actively involved in conference activities. Click here to visit ABMA’s website for more about the conference. Academy subscriber North Carolina Aquariums will be hosting the annual Regional Aquatics Workshop (RAW) conference this month. Aquarium participation in the Academy's collaborative learning environment is growing, and we are very excited to have North Carolina Aquariums on board. Click here to visit the RAW conference site. Have you joined the Academy On-boarding and Mentoring Professional Staff Group? If you are a subscriber to the Academy, the On-boarding and Mentoring Professional Staff Group is a great way to stay informed about effective ways to leverage online training in your organization. As new announcements are made in the group, the notifications can be sent directly to your email in-box. If you are subscribed to your institution's site, you can quickly and easily be set up to receive these notifications. Just send Gary Priest an email at gpriest@sandiegozoo.org to join the group. My Academy and The Volunteer Connection are the privately branded custom employee and volunteer sites at San Diego Zoo Global. Here are some useful hints from our staff. You can post anything to the resource section as long as it is a file, link, live document, or photo. For example, our Institute for Conservation Research has a monthly seminar with outside speakers who give one- to two-hour presentations. Those sessions are videotaped and historically burned to a DVD. Now, with My Academy, they are looking to upload those videos for everyone to access. To load a resource, just go to the resources tab, click “add resource” in the top right corner, and then choose your resource type. One helpful hint: the tags/keywords section includes at least three words with commas in between each word. The final step is to click “create resource” at the bottom. That’s it, quick and simple! Are volunteers asking for ways to meet other volunteers? Perhaps it’s a GenX group or a social club that would like to get together. Set up a group in your Volunteer Connection site! Leave the group open so whoever is interested may join. Set up guidelines in advance for clarity, and provide them with this safe platform for making connections with their peers.